This fantastic Spiderman Scooter has cool graphics all over its light weight frame. It’s lightweight and foldable so it’s easy to store or even take in the car. 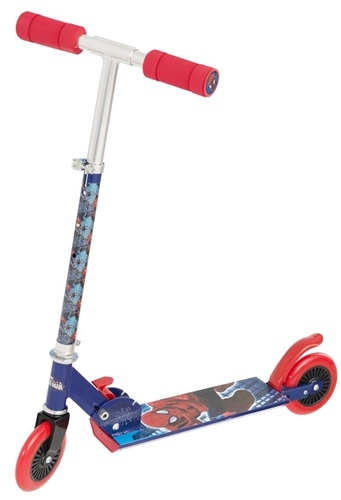 This scooter has adjustable handle bars so it can be extended as your child grows. It can also be folded away for compact storage and carry-along play. Very happy with this Scooter. Easy to put up. Folds flat so can carry too. Little Man goes to School every day on it. Ordered paid for and received within 48 hours. Would use again. Thank you.